The Institut National des Sciences Appliquées (INSA) Rouen will recognize Aerospace Engineering Professor Elaine Oran with an Honorary Doctorate during their 30-year Anniversary Program on April 3. The INSA Honorary Doctorate recognizes the work, career or involvement of a distinguished scholar within a community and their extraordinary careers in research in areas closely related to themes of INSA. Oran joined the University of Maryland (UMD) in 2013 as a Glenn L. Martin Institute Professor of Engineering. In addition to being an Aerospace Engineering faculty, she is also and an affiliate professor in the Departments of Mechanical and Fire Protection Engineering and UMD's Institute for Physical Science and Technology. Oran's research includes work on chemically reactive flows, turbulence, numerical analysis, high-performance computing and parallel architectures, shocks and shock interactions, rarefied gases, and microfluidics, with applications to combustion, propulsion, astrophysical explosions and micro-sensor design. She is both a member of the National Academy of Engineering, as well as both an American Institute of Aeronautics and Astronautics (AIAA) Fellow and an AIAA Honorary Fellow. She is a fellow of the American Society of Mechanical Engineers (ASME), the Society of Industrial and Applied Mathematics (SIAM) and the American Physical Society (APS). 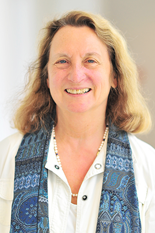 In 2013, APS awarded Oran the 2013 Fluid Dynamics Prize for her "seminal contributions to the understanding of reactive flows through computational simulations, especially the deflagration-to-detonation transition in gases and supernovae." Prior to joining the University of Maryland, Oran was the Senior Scientist for Reactive Flow Physics at the U.S. Naval Research Laboratory where she was responsible for carrying out theoretical and computational research on the fluid and molecular properties of complex dynamic systems and where she continues to serve as an Emeritus Scientist. In addition to Oran, the INSA recognized University Professor Alberto Broggi from the University of Parm's Department of Computer Engineering and Computer Vision in Italy and University Professor André B. Charette from the University of Montreal's Department of Chemistry in Canada.